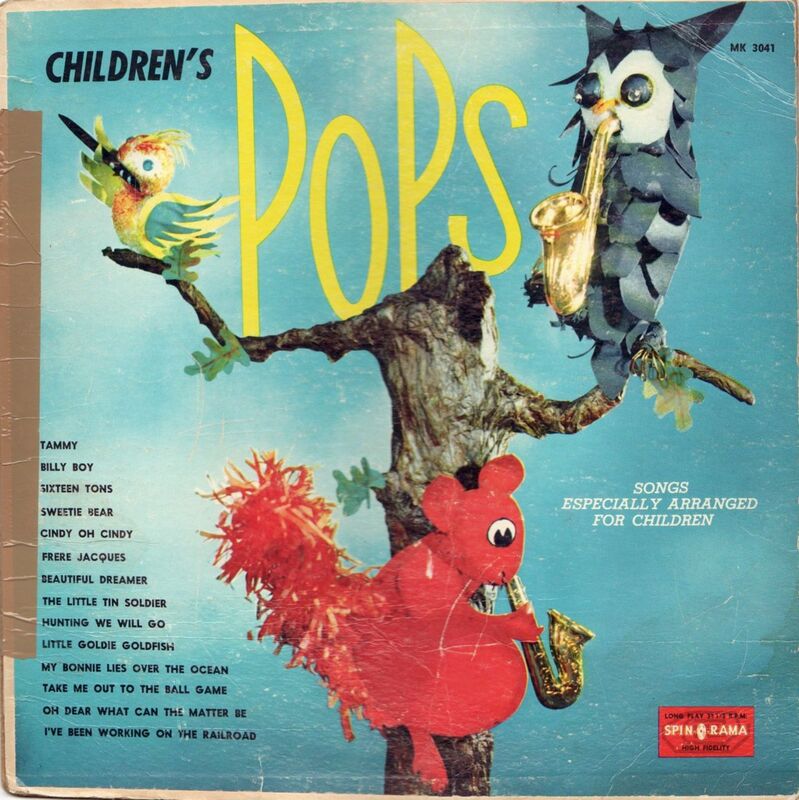 This album features an eclectic mix of songs for kids (i.e. probably stuff from numerous sources) like "Take Me Out to the Ballgame", "Frere Jacques", and "Sixteen Tons" (huh?). It also includes a somewhat freaky cover. This record has the dubious distinction of being in my posting queue the longest. I put the initial post for this album in all the way on May 23, 2008! The problem is that I did some cleaning and misplaced the cover, and I didn't want to post (or upload) the album without it. I did some rearranging and found it, so here it is. Was it worth the wait? Probably not, but it does mean I've got something available here on the board for two weeks in a row, so it should get credit for that! It was worth the wait to me. I didn't even know I was waiting Very fun! A childhood favorite! Thanks for posting this.